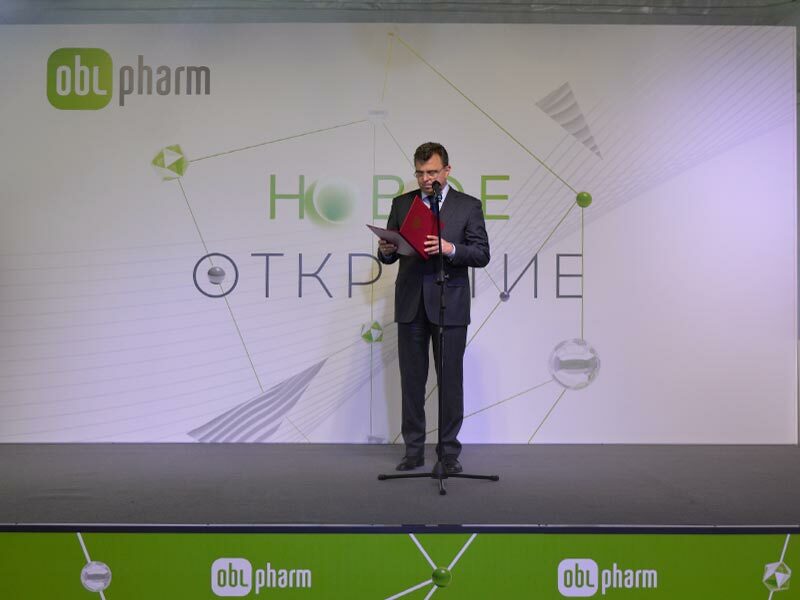 On 07 February, in the Moscow region, the formal opening of a new facility of the «Obolenskoe» Pharmaceutical Enterprise (Serpukhov district, village Obolensk) was held. The manufacturing complex will allow for an annual production output of 120 million packs of non-sterile solid dosage forms and will secure availability of high-quality Russian medicines not only in Moscow and the Moscow region, but will satisfy the existing demand in locally produced tablets, capsules and sachets throughout Russia. The amounts of 1.6 billion tablets, 120 million capsules and 15 million sachets will become available for treatment of cardio-vascular, musculoskeletal, nervous and sense organs diseases. All of these are locally-produced drugs which are now being manufactured at a new manufacturing complex in the Moscow region – the «Obolenskoe» Pharmaceutical Enterprise – which has been opened today. A large-scale manufacturing line designed according to GMP and ISO standards including the system of medicines monitoring from the plant to the pharmacy and ultimately to the end user by means of labeling solutions will bring the facility to the level of the leading European drug manufacturers. Within the territory of the facility having the most advanced manufacturing technologies for production of solid dosage forms, there is state-of-the-art equipment for direct mixing, non-spray techniques as well as the techniques for handling hydrophobic and light-sensitive pharmaceutical substances. «Launching of a new facility will promote strengthening of the Russian pharmaceutical industry and will support provision of Russian Federation citizens with available and high-quality medicines», said the Minister of Industry and Trade Mr. Denis Manturov in his welcoming speech read to the audience of the formal opening ceremony by the First Deputy Minister of the RF Ministry of Industry and Trade Mr. Sergey Tsyb who also expressed his hope that “the facility will become one of the key implementers of all the initiatives in development of the country’s pharmaceutical industry». 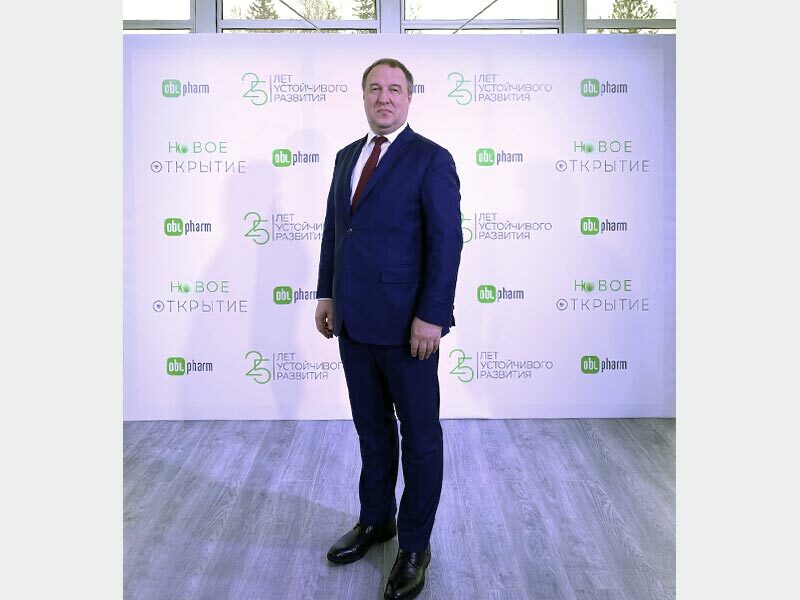 «Today, we witness a historic event not only for the Moscow region, but for the country on the whole», emphasized the Director of FSI «SID & GP» Mr. Vladislav Shestakov in his congratulatory speech towards the «Obolenskoe» Pharmaceutical Enterprise. «The pharmaceutical company with 25 years of experience behind and a vast portfolio of drugs manufactured is giving a start to a new manufacturing complex. It is noteworthy that this new facility has been designed according to international GMP standards. We can see implementation of such current trends as a transition to automation, which excludes risks of contamination due to a closed-type production line without open dusting, with automated CIP, WIP systems for equipment cleaning. And on top of that the facility already has the most advanced packaging lines with the system of labeling with control (identification) symbols».